Fully Multicoated Optical System: Provides optimum light transmission and maximum brightness from dawn to dusk. Extended Focus Range - Adjustable Objective Lens Dials Out Parallax from 10m to Inifinity. 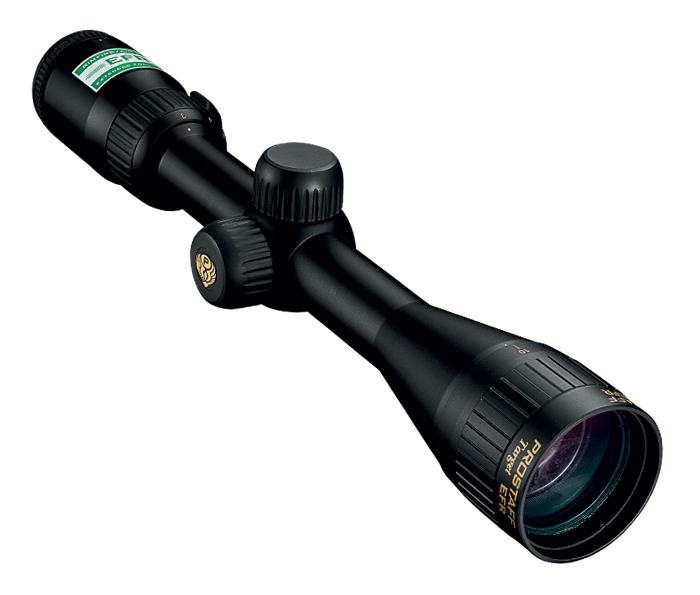 Zero-Reset Turrets: To simplify field adjustments, Nikon has integrated this feature into all new riflescopes. Just sight-in as usual, then lift the spring-loaded adjustment knob, rotate to your “zero”, and reengage. Field adjustments are now as simple as dialing-in your subsequent ranges. Waterproof/Fogproof/Shockproof: Nitrogen filled and O-ring sealed. Precise, hand-turn 1/4-inch at 50 yards click adjustments.